The best and most distinguishing part of Sweetgrass Southern Granola is, of course, the sweet southern staple, the maple syrup of the south: sorghum cane syrup! We weren’t always aware that such Kentucky gold existed. We discovered sorghum at the Forkland, Ky cultural heritage festival while working at an organic farm nearby. 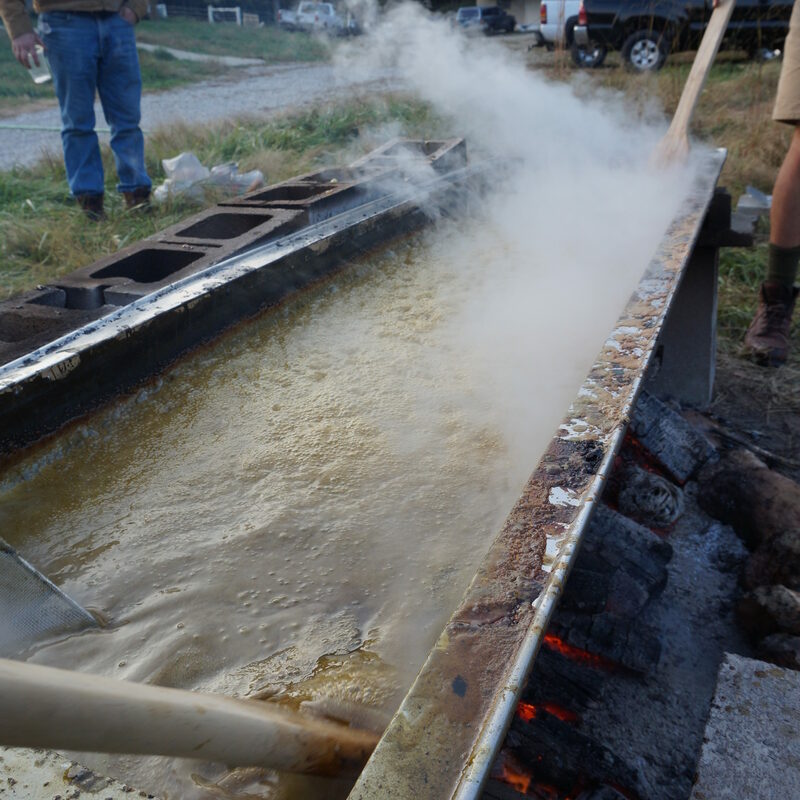 The syrup was so rich and flavorful compared to normal old sugar and the old-fashioned process of making it was ridiculously romantic. We were (and still are!) amazed that such a wonderful and healthier substitute for refined sugar is grown best right here in Kentucky. We began to replace refined sugars with sorghum throughout our diet. One of our regular homemade endeavors, granola, was especially improved by this upgrade. 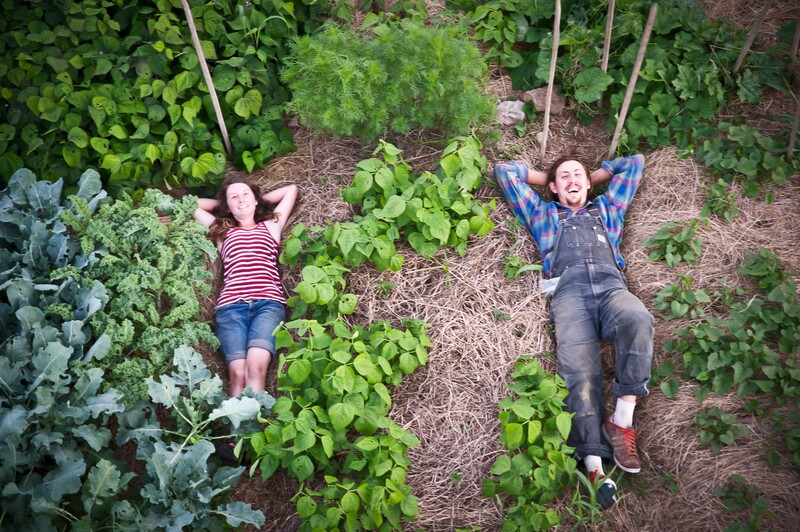 When we began to lease a small amount of Kentucky farmland from friends we sold our sorghum granola in sandwich bags next to our no-spray veggies at the farmer’s market. 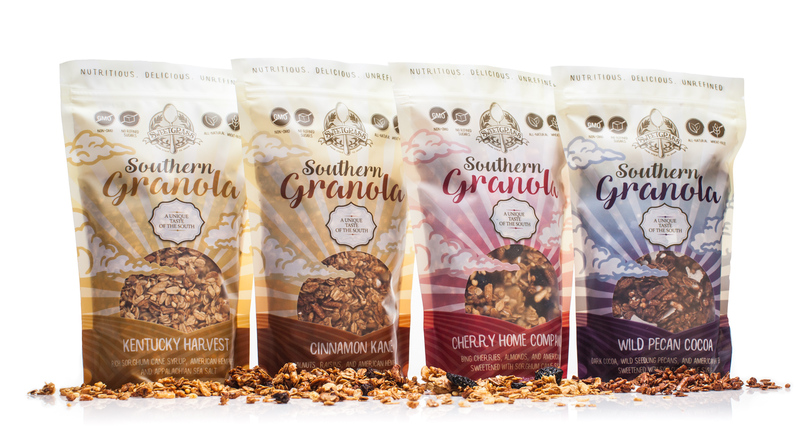 In order to supplement our seasonal farm income we created the brand “Sweetgrass Granola” and began to sell our little Kentucky granola to stores like Good Foods Co-op in Lexington, Ky.
We found that lot of other people also appreciated the unique flavor of our sorghum granola! And so we worked with a local graphic designer to create our much improved stand up packaging. We focused on agricultural themes, referring to the source of many of the ingredients and also the farmstead origin. Of course, everyone also loved the names of our flavors like “Cherry Home Companion” and “Cinnamon Kane”! Sweetgrass Granola was now available at larger retailers like Rainbow Blossom and Whole Foods and eventually a part of the Ky Proud program through which we are stocked at over 50 Krogers throughout Kentucky. 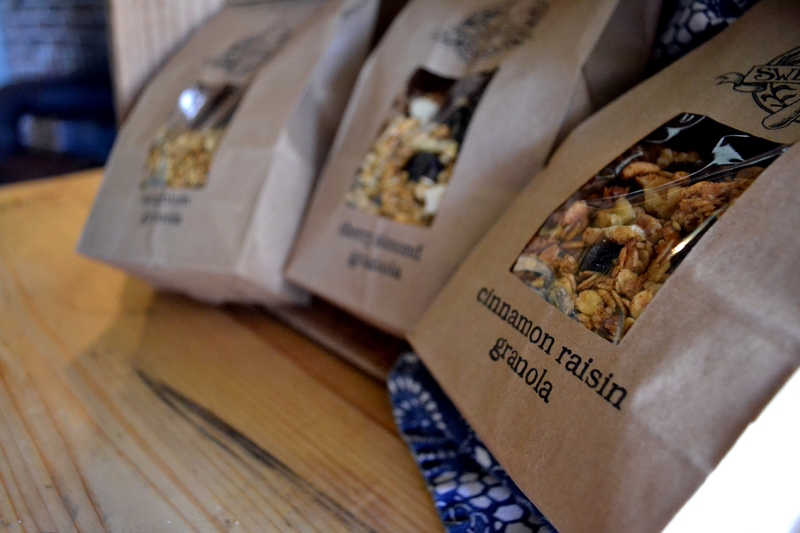 We are always endeavoring to bring more and more regional and Appalachian produced ingredients into our granola. Now we source our sorghum cane syrup, honey, oil, pecans, hemp, chia, and salt from southern producers. Now it’s time to evolve once again as we seek to bring our unique sorghum granola to a wider audience. The future is bright for the next step as Sweetgrass Southern Granola (read more about our new direction) and we will strive to proudly represent even more wonderful flavors of Kentucky, Appalachia, and the South!